After its swing through East Asia, the PGA Tour is back in the U.S. as the 2018 Shriners Hospital for Children Open takes place this weekend at TPC Summerlin in Las Vegas. Some of the sport's biggest names will take their talents to Sin City this weekend, but who is the favorite to win from the field? Tony Finau and Rickie Fowler both currently top the list of favorites at 10/1 odds. Ranked No. 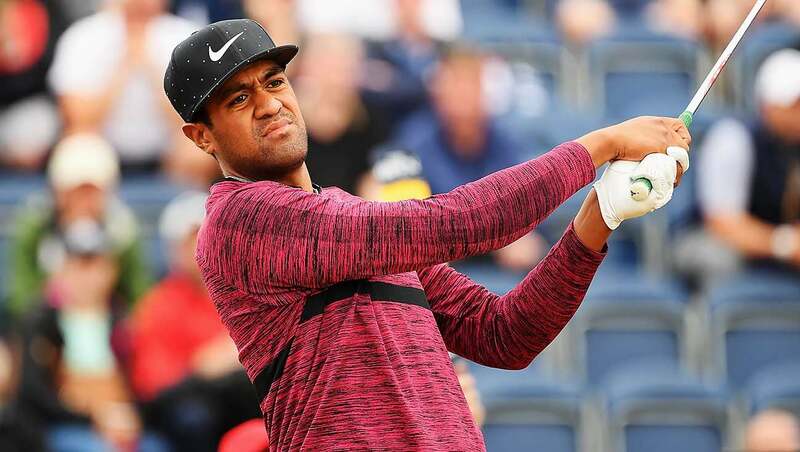 15 in the world, Finau is coming off a second-place finish last weekend at the WGC-HSBC Champions in Shanghai, China. The Shriners Hospital Open will be the ninth-ranked Fowler's first event of the 2019 season. World No. 13 Jordan Spieth comes in with 12/1 odds, while No. 6 Bryson DeChambeau is listed at 14/1 odds alongside the defending champion Patrick Cantlay and Webb Simpson. Both Spieth and DeChambeau will also be playing in their first tournaments of the 2019 campaign. Cameron Champ, who claimed victory at last weekend's Sanderson Farms Championship in Jackson, Mississippi, enters the event with 30/1 odds. You can see a full list of betting odds for the Shriners Hospital for Children Open below, via golfodds.com.